It has been a very busy news period, so much so in fact that I have felt completely swamped. It was almost as if while I was reading the rumours on one site, the full announcement was taking place elsewhere. From point and shoots to long awaited top end beasts there is a lot of new product about to hit shelves around the world. Nikon have been very busy lately. Let us kick off with the compact cameras starting with the Coolpix P510 which features a 16mp back-lit CMOS sensor and a massive 42x optical zoom. That is a 1000mm lens in a compact camera! The L810 is also a 16mp camera with a tiny (in comparison to the P510 that is) 26x zoom range. The P510 shoots for 1080p HD video where the smaller L810 offers 720p. In the S-series Coolpix we find the new S9300 and S6300. The former has the 16mp back-lit sensor with an 18x zoom lens and built in GPS. The latter puts a 10x zoom on the same 16mp sensor with no GPS. Going a little lower down the range is the S4300 and S3300. They both offer 16mp with 6x zoom. The S4300 has a larger (3-inch) touch screen opposed to the S3300’s 2.7-inch display. Let us briefly summarize the rest of the range. 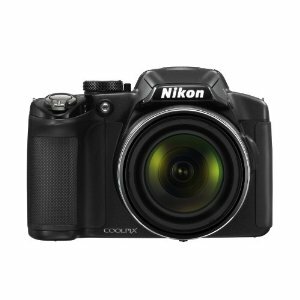 Coolpix S30 – A 10mp, 3x zoom, waterproof camera (3 meters) which Nikon say any member of the family can use, including the kids. Lastly in the Coolpix range, the P310 which has the 16mp back-lit CMOS sensor and a 4.2x zoom lens with an f/1.8 aperture. It looks like this model is taking aim at the Canon S95/S100 though it does not appear to shoot RAW like the Canon’s do. The really big Nikon news though is the announcement of the D800. This full frame camera pushes the resolution envelope to a whopping 36mp. You can find the full press release with all the specs here. Below is a short film shot on the D800. Canon have also found it hard to contain themselves in announcing new compact cameras. The PowerShot D20 is only Canon’s second rugged compact camera. 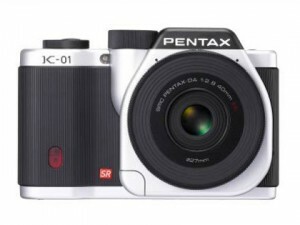 It is significantly smaller than the SD10 was and features a 12mp sensor with 5x zoom and GPS. It is waterproof to 10m. The SX260HS is a pocket-able big zoom camera. It has a 20x zoom lens on 12mp back-lit CMOS sensor. It also features GPS which it’s twin – the SX240HS – does not. The A-series of PowerShot compacts was completely overhauled. Here is a quick summary of the models. Canon also announced a revamped 24-70mm f/2.8 L II which does not have Image Stabilization as many had hoped but is said to be lighter and smaller which is interesting cause the filter size is 82mm, bigger than the 77mm on the predecessor. Also announced were the 28mm f/2.8 IS and 24mm f/2.8 IS. Why put image stabilising in two fixed focal length, wide angle lenses and not in the 24-70mm? Maybe it is more applicable to videographers? Not trying to overwhelm us with quantity of cameras is Pentax. They have announced a new rugged compact camera in the WG-2. This unit features a 16mp back-lit CMOS sensor and can go down to a depth of 40 feet (12m) in the water. Engadget report here. While that is impressive it is the second camera announcement from Pentax that caused a stir and left many scratching their head with a puzzled expression on their face. The K-01 is a K-mount mirrorless camera which – due to the fact that it uses normal K-mount lenses – is not a very compact mirrorless camera at all. It has been designed by Marc Newson (excuse my ignorance if I ask who that is) and looks… different. Fact is that the camera is only mildly smaller than a normal Pentax K DSLR so we are left kind of asking what they are thinking with this camera. Kicking of with Cyber-shot news. Sony recently announced 3 new models in their compact camera range which push the resolution envelope. In particular is the TX200V which sports an 18mp Exmor-R CMOS sensor, 5x Zeiss lens and is waterproof to 5m or 16ft. The WX70 and WX50 feature a 16mp Exmor-R CMOS sensor and 5x zoom. See news here. Other big news from Sony is the official announcement – finally – of the 500mm f/4 G lens for the Alpha range. No indication on price yet but I have a funny feeling it is not going to be cheaper than the Nikon and Canon equivalent. Story here. The old Tamron 28-75mm f/2.8 gained a fantastic reputation with those needing a fast zoom lens on a budget. 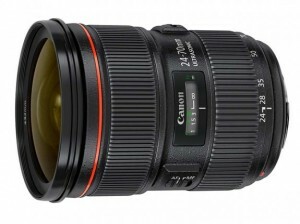 Now the company has announced a 24-70mm f/2.8 VC (Vibration Control) will be joining their range of lenses. It will feature their USD (Ultrasonic Silent Drive) motor for improved autofocus speed and be available in Nikon, Canon and Sony mounts. It is interesting to note that none of those brands own lenses in that range are image stabilised. If this lens performs on par with the camera brands own products they could see some serious losses on sales in this range, particularly when you consider that Canon’s latest version of that lens still lacks Image Stabilisation despite rumours that it would be a feature. It is good to see new developments from Olympus despite the massive bad publicity they have had recently after the former CEO revealed huge losses that had been covered up in the past. While the new TG-820 iHS rugged compact with 12mp back-lit CMOS and SZ-31MR iHS with 24x zoom and 16mp back-lit CMOS sensor are cool, it is really the resurrection of the OM brand that has everyone talking. OM cameras in the film days were the smallest, lightest, quietest SLR cameras around. The system for many was as prestigious as Leica and Contax. 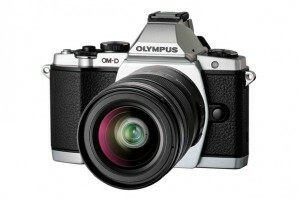 Now Olympus have introduced a Micro Four Thirds camera claiming the heritage of the OM. The OM-D E-M5 has a 16mp sensor any is weather sealed. It looks great and we hope to get our hands on it in the future. Also announced for the Micro Four Thirds system is a 75mm f/1.8 lens and 60mm f/2.8 macro. Please excuse any typos, poor grammar etc. I wanted to post this today but in a bit of a rush to get to the Nikon South Africa launch of the D4 and D800 this evening so have only skimmed through it before hitting publish.